Your Phone Will Adapt! The Vodavi Single Line Station Adapter (SLA) provides standard single line telephone operation for the Vodavi STARPLUS 308, 616, and 1224 telephone systems. The adapter is a two port unit that interfaces with the system via one or two electronic telephone station ports. One electronic port is required to support each single line telephone up to two single line telephones can be connected to the SLA. The adapter provides high voltage ringing 50 to 80 volts to the single line telephone and is completely line powered, therefore, does not require a power supply. 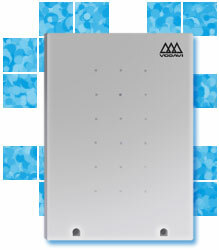 The single line telephone user can access the system's features by dialing feature access codes.